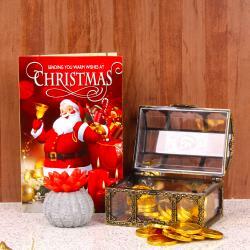 Product Consist : Santa Claus Face Stocking along with Basket of Marshmallows Candy (Weight : 200 Gms) and Christmas Greeting Card. 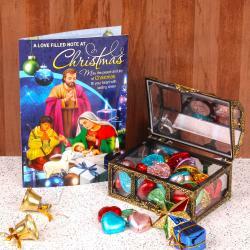 Celebrate Christmas with lots of love and fervor by treating your loved ones to elegant gifts. 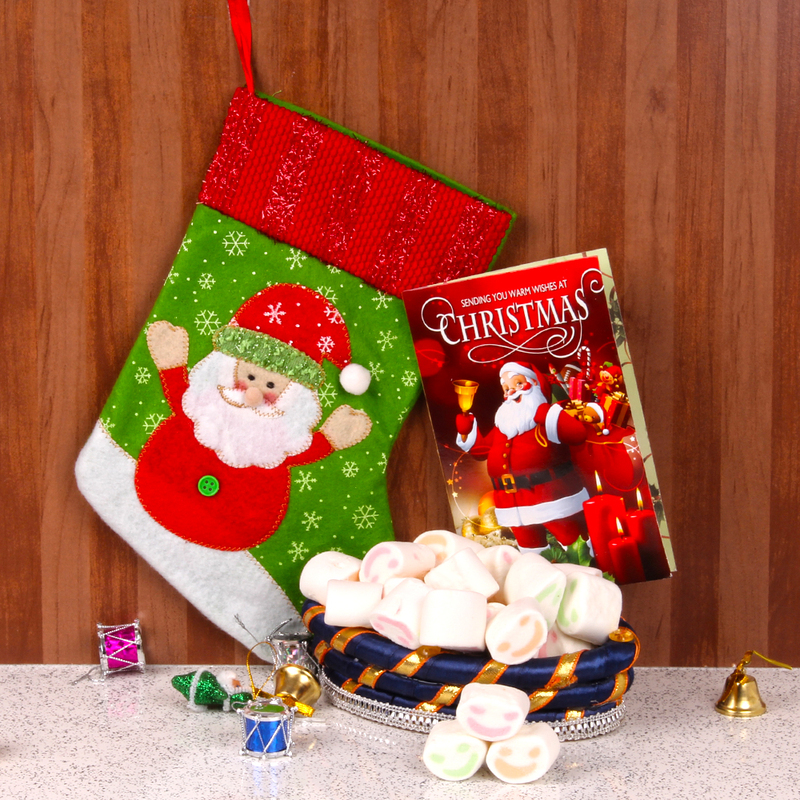 This is a mind blowing gift combo is best gift option on Christmas especially for kids here we present the cute Santa printed stocking which made out of soft woolen cloth which filled along with Santa Christmas greeting card with merry Christmas whishes and happiness. Hamper also includes the exclusive basket filled with Marshmallow Candies. 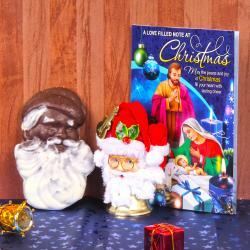 so, go ahead and buy this exclusive Christmas Gift and surprised your dear ones. 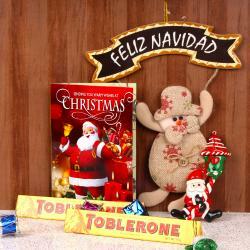 Product Consist : Santa Claus Face Stocking along with Basket of Marshmallows Candy (Weight : 200 Gms) and Christmas Greeting Card.